This color combination always says sophistication to me. 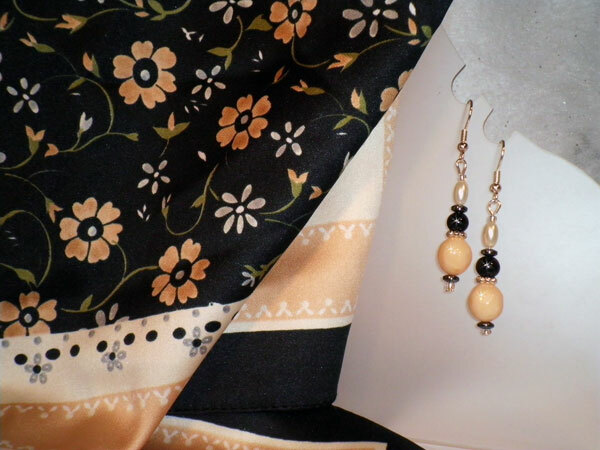 The scarf has a black base with 2 shades of ivory border. The flower pattern has touches of olive green and grey. The earrings measure 1 1/2" from the finding loop with black, silver, charcoal and ivory beads. This is a simply beautiful set.